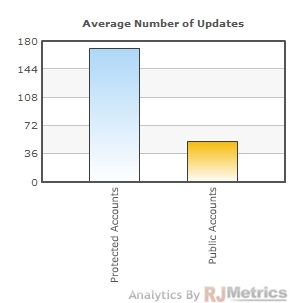 This is a guest post by Robert J. Moore, the CEO and co-founder of RJMetrics, a on-demand database analytics and business intelligence startup that helps online businesses measure, manage, and monetize better. 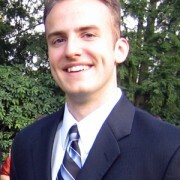 He was previously a venture capital analyst and currently serves as an advisor to several New York startups. 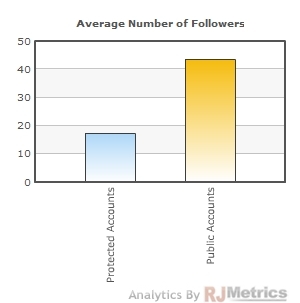 Robert blogs at The Metric System and can be followed on Twitter at @RJMetrics. A few weeks ago, my former employer led a $100 million investment into Twitter and I must admit that I was quite jealous of my former colleagues. 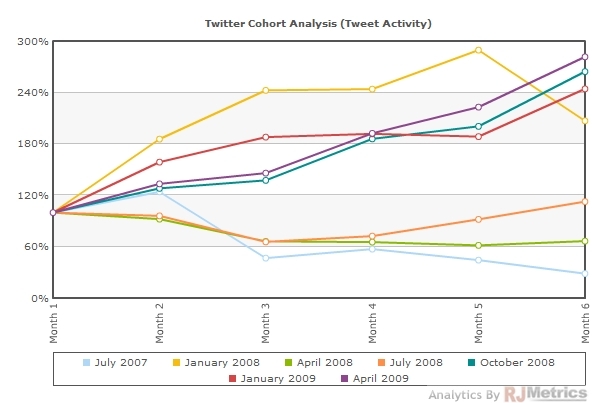 Chances are they got the opportunity to do some very cool analytics on Twitter's data. 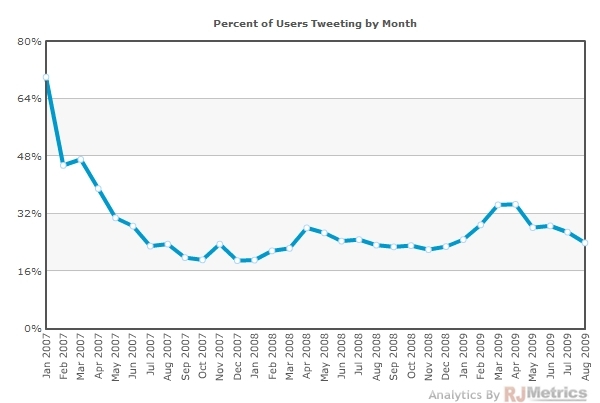 Twitter's user growth is no longer accelerating. 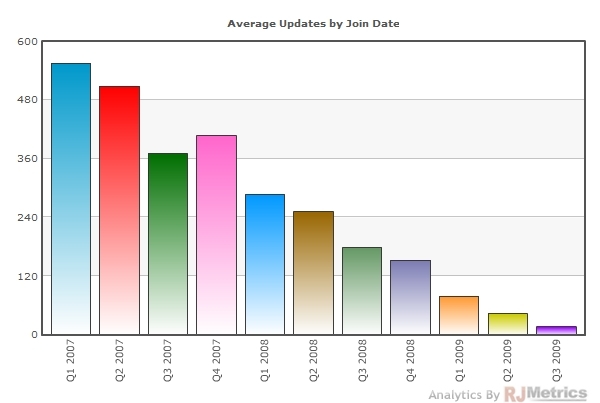 The rate of new user acquisition has plateaued at around 8 million per month. 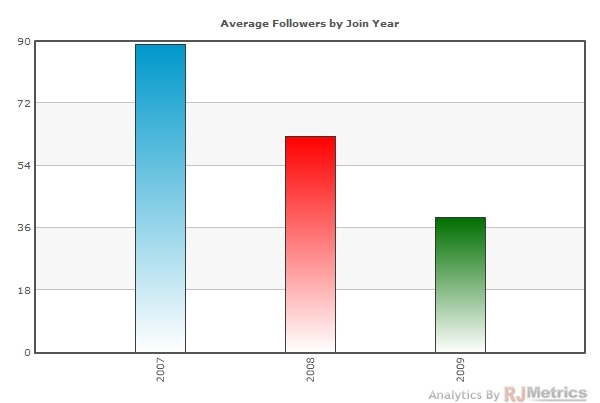 Over 14% of users don't have a single follower, and over 75% of users have 10 or fewer followers. 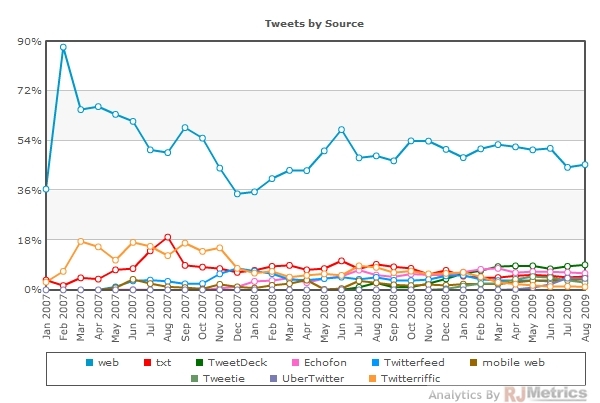 In the end, our sample size consisted of about 85,000 users and just over 3 Million tweets. 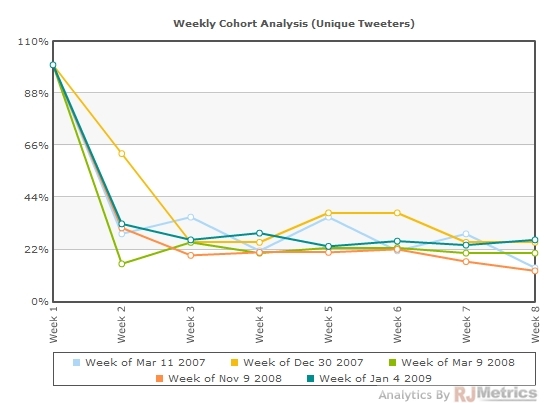 By piecing all of these things together and pulling the data into the RJMetrics Dashboard, I was able to chart loads of information about Twitter's user base and user behavior. 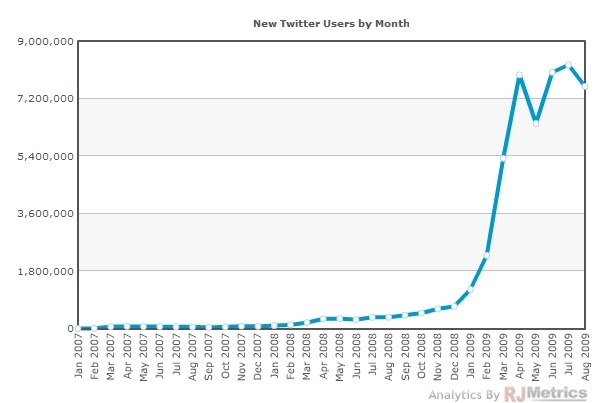 I've looked around, and this appears to be the largest public analysis of Twitter's user base online. Enjoy! 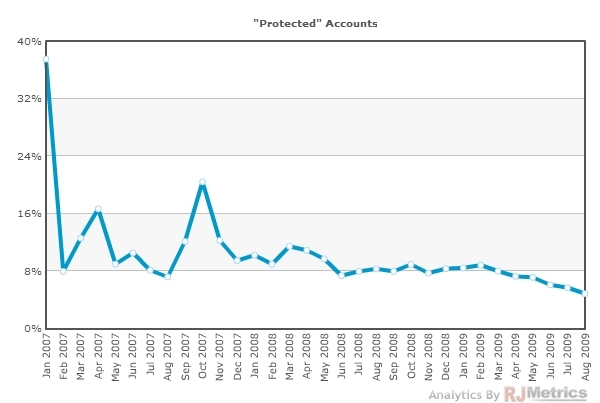 Before moving onto analyses at the tweet level, it's important to note that some of the users we identified have "protected" their tweets, meaning we were able to see how many followers they had and how many times they had tweeted, but were unable to download specific tweets (and, more importantly, tweet times). 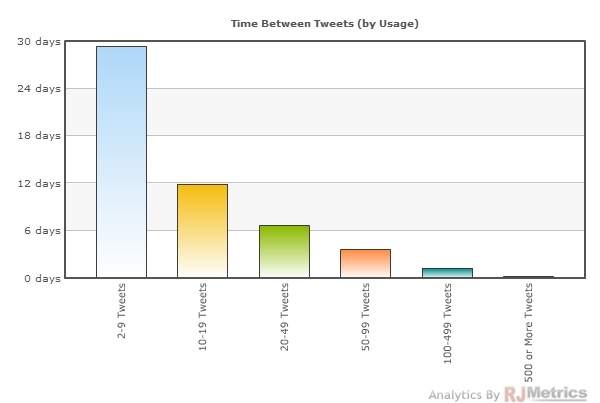 The chart below shows the average amount of time between tweets for a user's first ten tweets (when applicable). 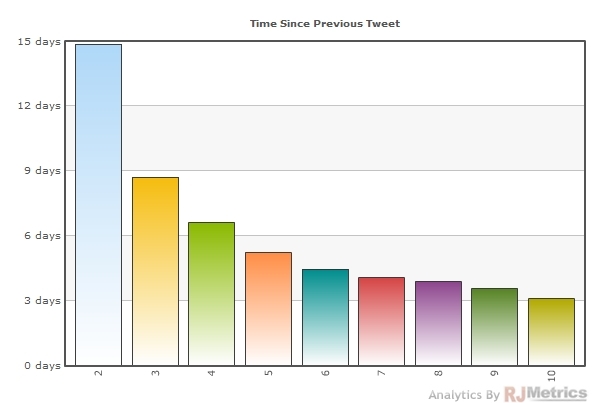 The x-axis contains the time of the tweet in question, and the value is the average amount of time since the previous tweet. 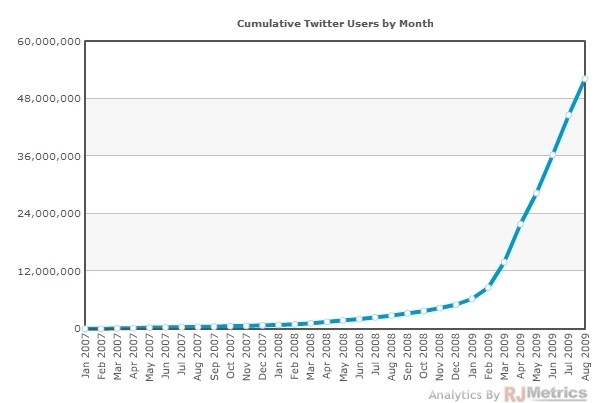 We know that Twitter has 50 million registered users, but we also know that the vast majority of them have tweeted fewer than ten times. 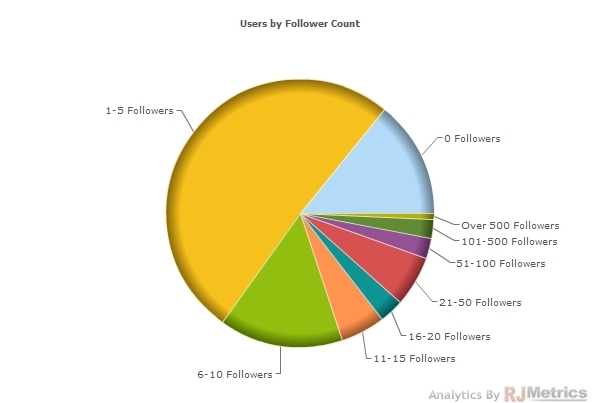 Let's investigate just how many of these registered users are actually actively tweeting. 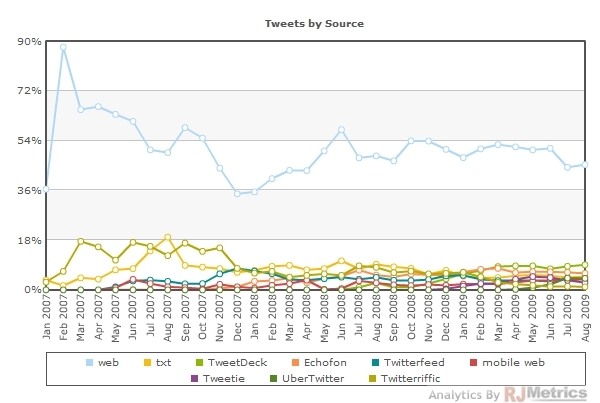 There is an expected usage dropoff in month 2, but after that point usage holds predictably steady. 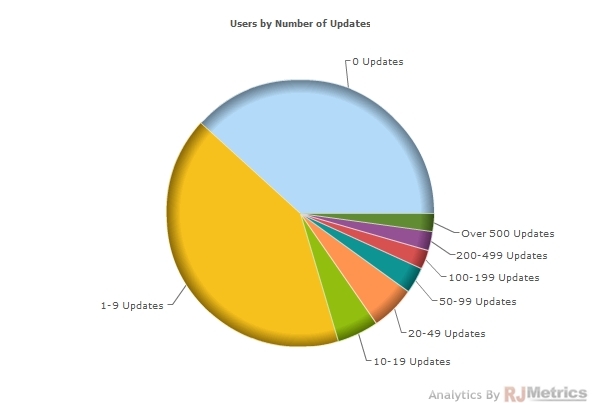 This is great news for anyone trying to forecast user activity early on in a new user's lifetime. 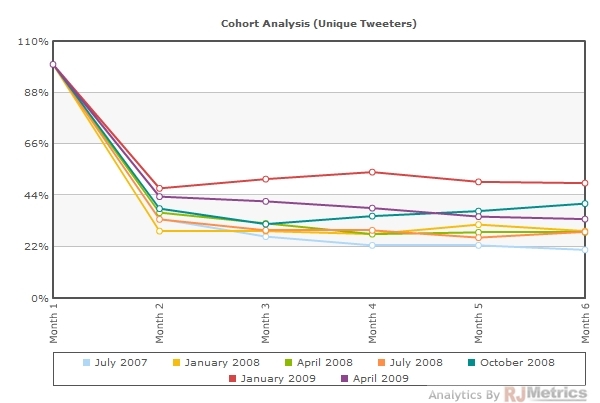 We see a similar pattern here, although more recent cohorts don't stand out as much as in the monthly analysis. Again, however, the dropoff in the second period doesn't seem to further decline as time goes on. 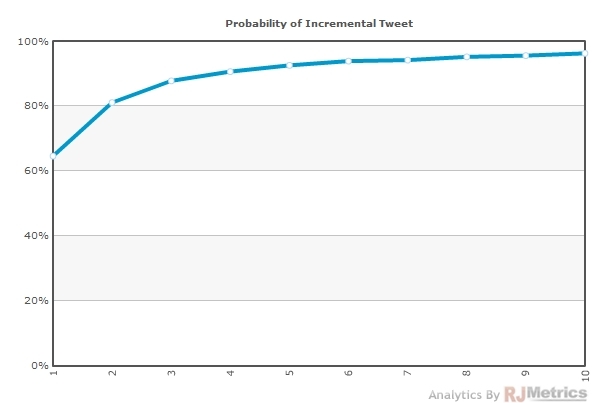 This means that by the second week of a cohort's lifetime, Twitter can reliably predict its users' future behavior as a group. Wow! This is a remarkable image. 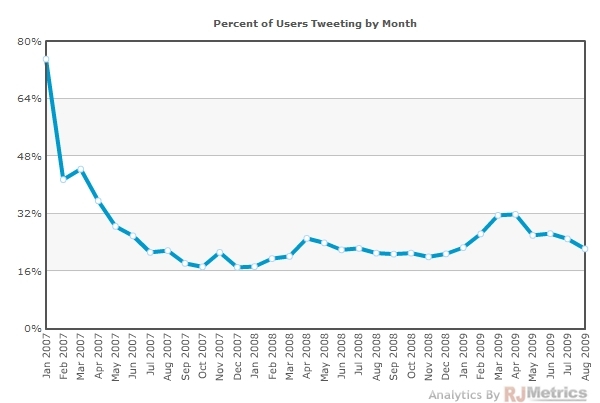 Despite the massive dropoff in users after the first month, the tweeting activity from the users who are left is so voluminous that it makes the "tweets per month" of each cohort average over 100% (and, as before, the more recent cohorts are the more loyal)! 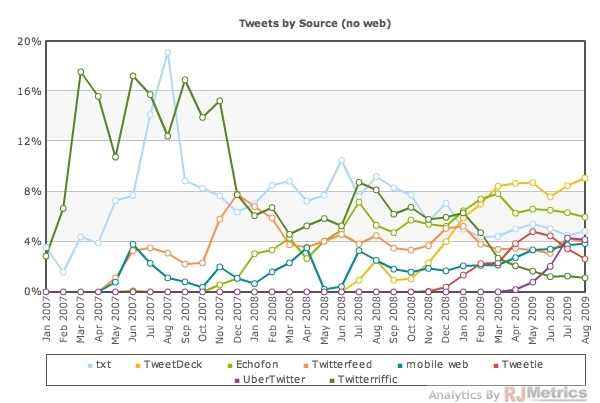 Everyone has their own feelings about Twitter's reported $1 billion valuation. I hope this article gave you a taste of what its new investors likely considered before coming up with that number.